The construction of the new EOLE station (extension of the RER E in the west of Paris), which is located under the CNIT (Centre for New Industries and Technologies) building in the heart of the financial district, la Defense in Paris, is currently underway. Having started in 2015, it will be up and running by 2022 after 68 months of works and 12 months of tests. 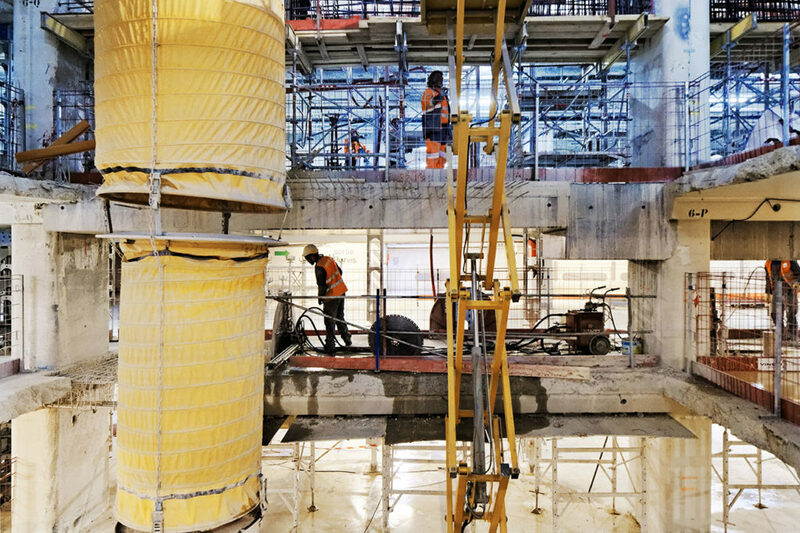 A symbolic project for setec, whose multidisciplinary teams ensure the full project management of the new station, the connections, exits and tunnels realised in a conventional method around the La Defense district. Meetings with setec teams on site. The “fault” carried out on several levels of parking. Situated in a very dense part of Paris and under constant use during the whole of the duration of the works, this project generates constant restrictions. 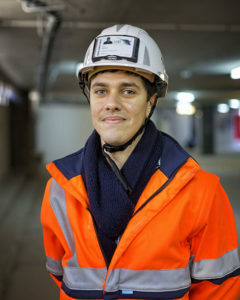 The construction site lies under a shopping mall and a hotel, as well as under the La Defense Esplanade which is surrounded by high rise buildings and intensive traffic lanes, ; it thus requires the use of special working methods. The challenge: to control noise and vibration pollution and to minimalize the impact of the construction site while preserving the environment. Civil works have begun under the CNIT. A first opening called the “fault” was carried out on several levels of parking. This opening enables easy access for materials to and from the bottom level directly to and from the surface and enable to extract rubble. It will eventually be an exit from the EOLE station and the CNIT. An esplanade, which will be dug under the station, will be created. As will transport connections between line RER A, metro line 1, the transilien, the T2 and eventually line 15. 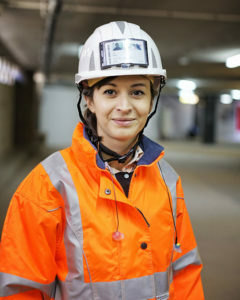 Julie Pinto, sector engineer CNIT Regnault. The whole of the setec groups skills were called upon for this extremely complex project. setec is prime contractor for EOLE, line 15 southwest and line 14 south. Contractor for geotechnical project management assistance for line 16 and 18 and project management for lines 15, 16 and 17 in partnership with EGIS. setec won in 2016 the prime contractors for line 15 west and maintenance and storage at Aulnay-sous-Bois.